"I looked down today and I knew who was in charge of that England side. It wasn't Stuart Broad and James Anderson, it was Root." Hussain says that skipper Root may be frustrated by his batting form - the 28-year-old having scored just 55 runs in five innings in the series - but believes his captaincy on Sunday was "spot on". "It's easy to mention the captain when a side is 150 all out but I looked down today and I knew who was in charge of that England side. It wasn't Stuart Broad and James Anderson, it was Root," said Hussain. "He bowled Ali first when no spinner has got a wicket in the game and it is seaming and going up and down. That was the right decision. "To hold Wood back and bowl him at the far end was the right decision. Everything he did, even the reviews, was spot on. "He will be feeling a little bit bad about his batting but as a skipper you are an all-rounder and the second string to his bow, his captaincy, was very good. He had an excellent day." Mark Wood admitted to suffering with self-doubt before he returned to Test cricket with a maiden five-wicket haul. Hussain says Wood brings an x-factor that could prove invaluable to England going forward - and which visibly rocked Windies. "It's not that we haven't had guys like this - Olly Stone has been around the camp for three or four months and has gone home with a stress fracture," said the former England skipper. "It's been getting them on the park and keeping them fit. It's about when we produce them, how do we keep them on the park? "Wood has been in and out and his pace has dropped off because of his injuries - but when he is like that, he is x-factor. Jofra Archer is coming through and he will be x-factor as well. "It just gives Root that x-factor after Broad and Anderson, who test your technique. Then there is Ben Stokes and Ali, who has become a very good off-spinner. That is a lot of bases covered. 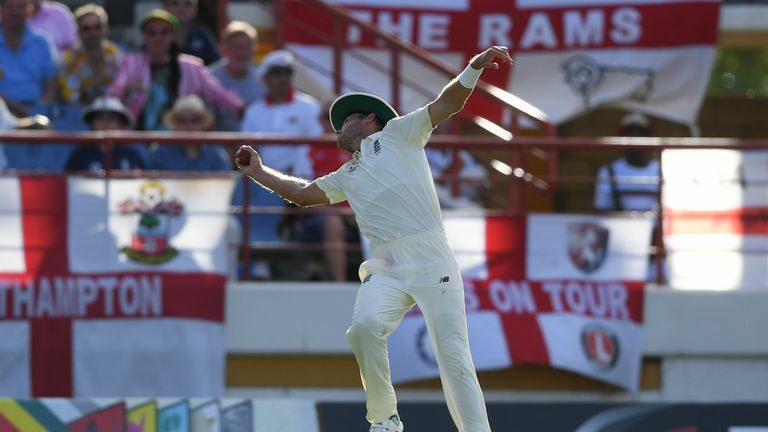 "When there was a little bit of extra pace, the Windies batsmen - who we have praised for being calm, secure and batting old-fashioned-style - were a little bit leg-side. "As Michael Holding always says, extra pace does funny things to the ticker and the technique - you noticed that with the Windies batsmen." 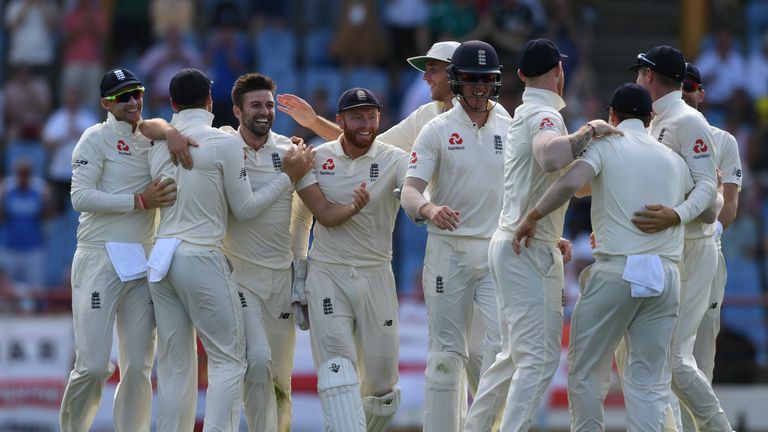 England had collapsed from 231-4 to 277 all out in Sunday's opening session but, after Wood and Ali demolished the hosts, the tourists reached 19-0 from 10 overs in their second knock - Keaton Jennings unbeaten on eight - to extend their lead to 142 in their bid to avoid a series whitewash. 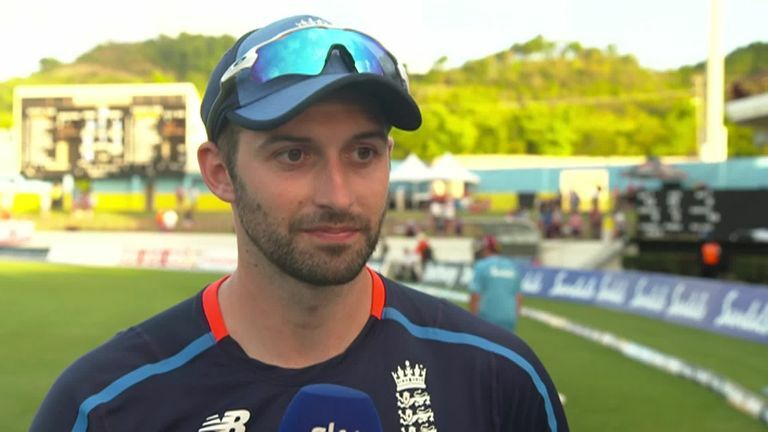 "He lives to fight another day," Hussain added of Jennings, whose opening partner Rory Burns is 10 not out. "At the top of the order, the game tests you, it keeps coming at you. He is out of nick and trying to survive in his international career. "Tomorrow could be the day he gets back into some nick."